The galaxy far, far away has gotten a little bigger this week following the release of the newest expansion for Star Wars Battlefront. Season pass holders are eligible to use the expansion immediately, but everyone else will have to wait until July 5th for their turn to jump into the fray. For their newest piece of DLC, DICE has moved the fight to the planet Bespin, a gaseous giant home to Cloud City. The expansion will add five new maps set in floating city, adding to the somewhat minimal battlegrounds offered in game. A new competitive game mode called Sabotage will make its debut, and it will also feature new weapons and star cards to collect and equip, giving your character new ways to stand out from the pack. Most exciting of all, the game will add two new hero characters, the suave Lando Calrissian, and the bounty hunter Dengar. Both heroes made their first appearance in 1980’s The Empire Strikes Back, arguably the best film in the iconic trilogy. 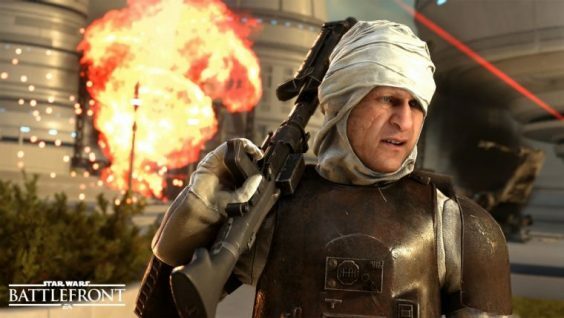 The expansion is a welcome addition to Star Wars Battlefront, and should help to flesh out the game a bit. While it captured the look and feel of the films, the original release was heavily criticized due to the small amount of content it offered on launch day. DICE looks to be rectifying that reality, but unfortunately, those looking for a more varied game will have to shell out some additional cash to access all of the new content.